Result R121 Classic Softshell in Workguard Grey. 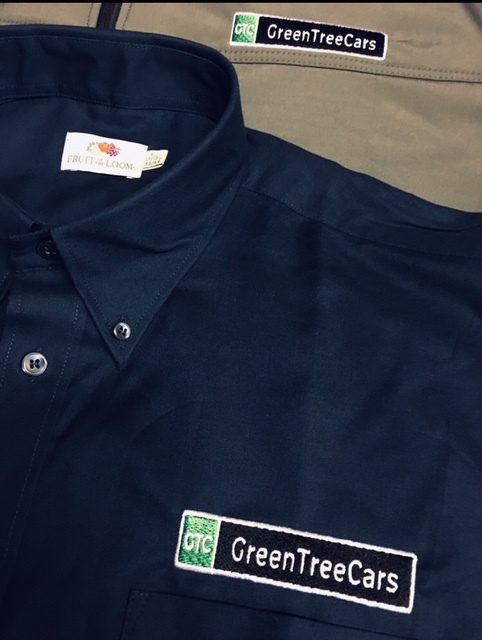 Also, Fruit of the Loom SS112 Oxford short sleeve shirts in navy. Green Tree Cars logo embroidered to the front left chest. 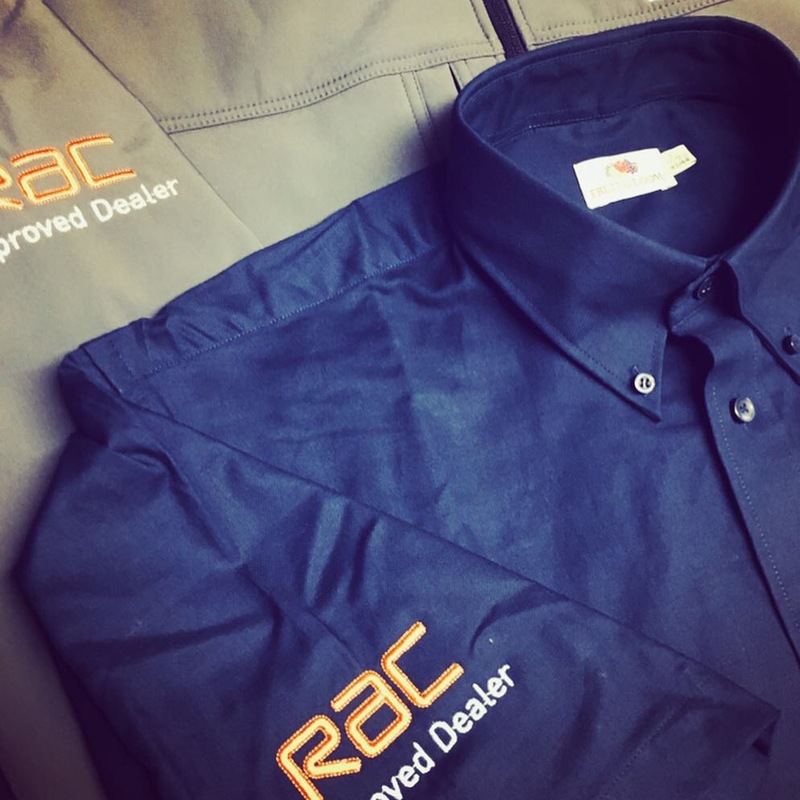 Furthermore, RAC Approved Dealer logo embroidered to the right sleeve on all the uniform. Also, if you have affiliations then add these to your uniform, it helps build trust in your brand.